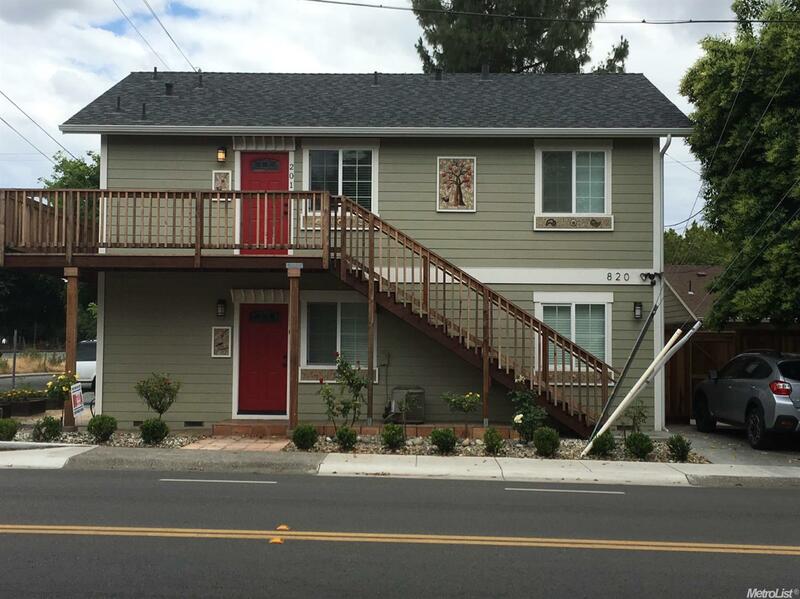 Wonderful foundation up remodeled core area duplex. This property has been appointed with the finest materials, from white painted custom cabinets, to beautiful granite counters. Custom tile murals by local artist. Each unit permitted as 2 BR with extra LR/den, easily used as 3 BR/2Ba OR 2BR/1Ba w/Studio/Ba w/private entrance. Just one block to the coop, and just a few more to the downtown. Don't miss your opportunity to own this awesome investment property. Call for your private showing.